Nothing says complexity like oak! Oak has long been used as the choice for making barrels used to store wine, beer and spirits. 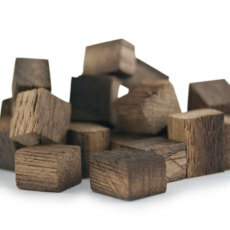 With a range of forms, types, and toasts, oak will add its own unique character to the drink in question. From soft, subdued notes lent by French oak to the big, bold flavors contributed by American oak, there are a million uses for this most hallowed of woods! 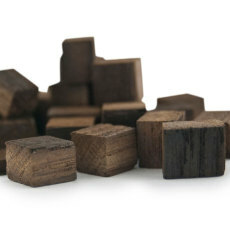 Chips and cubes of all sorts, we've got what you need right here! 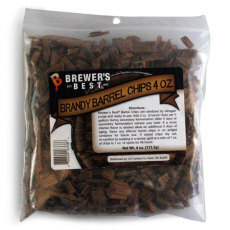 Brandy barrel oak chips for your fermentation projects. Gives your beverage a brandy barrel character! 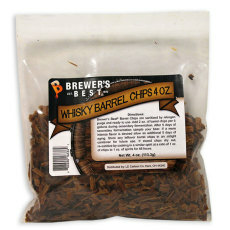 Used at a rate of 2 oz per 5 gallons for 5 to 10 days to give an authentic barrel-aged character! 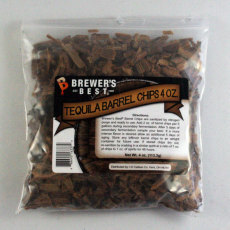 Tequila barrel oak chips for your fermentation projects. 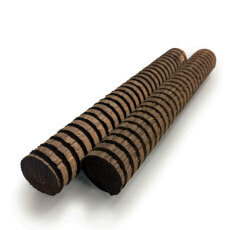 Gives your beverage a tequila barrel character! 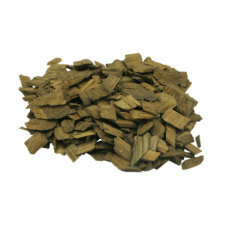 Whiskey barrel oak chips for your fermentation projects. Gives your beverage a whiskey barrel character! 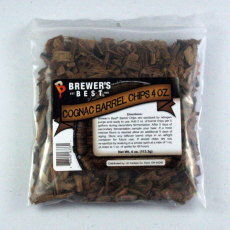 Cognac barrel oak chips for your fermentation projects. Gives your beverage a cognac barrel character! 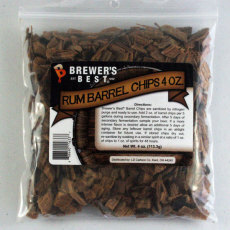 Rum barrel oak chips for your fermentation projects. Gives your beverage a rum barrel character!